Abu Dhabi Warriors aim of promoting martial arts in the UAE is taking a major step ahead with entering the international markets. Sponsoring two superfights as part of an Elite Fight Night combat sports event in Bangkok, Thailand, Abu Dhabi Warriors are opening new opportunities ADW fighters in the future while promoting the MMA all around the Globe. The MMA qualifying events will bring winners a ticket for the Grand Final which will be held in December in Abu Dhabi. Abu Dhabi Warriors will soon be announcing its first 4-man squad that will compete on August 22 in Thailand. Following the successful launch of the Elite Fight Night (EFN) 2016 season with a revamped Muaythai plus MMA format at EFN6 in Bangkok on August 12, the road to the season end finales in Abu Dhabi and Bangkok now heads to Sofia for EFN-7 on September 24. Under the new EFN format, EFN7 will feature both Muaythai and MMA fights. The winner of the 4-man Muaythai qualifying tournament will earn his place at the Kings Cup Final in Bangkok on December 5. The four Muaythai fighters scheduled to compete in Sofia at EFN-7 are Marcin Lepkowski of Poland, Vladimir Konsky of Slovakia, Sayfulah Hambahadov of Chechnya and Gligor Stoyanov of Switzerland. As part of the Road to Abu Dhabi Warriors qualifiers, eight fighters will face off in four bouts. All four winners advance to the Abu Dhabi Warriors Final in the UAE Capital on November 22. While Elite Boxing has held a number of events in Europe since launching its first event series in 2010, the Bangkok-based company has usually chosen Germany as the venue for its European events. The decision to stage one of the company’s prestigious EFN events in Bulgaria has been taken for a number of reasons. As part of Sofia’s role as European Capital of Sport for 2018, EB is also leading negotiations to have the International Federation of Muaythai Amateur (IFMA) European Championships in the city in 2018. Staging an EFN event in the city is regarded as a good way of assessing the infrastructure and creating greater awareness of the sport in readiness for the IFMA European Championships. Online Ticket not available for this event. Once again featuring both Muaythai and MMA fights on the bill, the 2016 Elite Fight Night (EFN) Series heads to Malaysia on October 8 for the third of four regional qualifiers on the road to twin year-end finales in Bangkok and Abu Dhabi. Having launched with EFN6 in Thailand on August 12, EFN 2016 then moved on to Bulgaria for EFN7 on September 24 for the second event of the joint Muaythai and MMA series. Following EFN8 in Kuala Lumpur, the last of the qualifiers will take place in Sao Paulo, Brazil to determine the final places for the two series-end finales. The MMA final will take place under the Abu Dhabi Warriors banner in the UAE capital on November 22, while the Kings Cup Final in Bangkok on December 5 will determine the EFN 2016 Muaythai champion. The Muaythai at EFN8 will include one 4-man tournament at 72.5kg and one 4-man tournament at 65kg, with both tournament winners progressing to the Kings Cup Final. The fight card will also feature four MMA fights with the four winners earning their place at the Abu Dhabi Warriors final. Indeed, it is the fourth year in a row that Elite Boxing has staged an event in Malaysia. Having first brought their TVC brand to Malaysia for a Thailand VS Asia event in 2013, EB has returned with an Evolution event in 2014 and introduced EFN last year. The final qualifier of this year’s EFN series represents a huge milestone for EB as the Bangkok-based combat sports group breaks new ground by staging its first ever event in South America. Scheduled for the Brazilian city of Sao Paolo on November 1st, EFN9 will also see one more new combat sport and a new brand welcomed under the EFN umbrella with the inclusion of kickboxing in partnership with WGP. The current EFN format includes a 4 man Muaythai tournament with the winner booking a place in the season finale at the Kings Cup in Bangkok on December 5. From this year, the series has also incorporated 4 MMA fights into EFN events with each winner securing a spot in the MMA final at Abu Dhabi on November 22. This combined discipline format has proven extremely successful with both sets of fight fans as it caters to connoisseurs of both stand-up fighting and brawling. For this final qualifier of EFN 2016, however, a third sport will be added to the fightcard as EFN9 will also include a 4-man heavyweight kickboxing tournament on the bill. EB has partnered with Brazilian kickboxing organization WGP to stage the first ever EFN event in South America. For the first time in EFN history, the audience in Sao Paulo will experience a combined fightcard of Muaythai, MMA and Kickboxing fights. While EB is staging its first event in South America, the partnership with WGP is by no means its first in the region. EB has also a strong relationship with Team Nogueira having collaborated on several projects over recent years. Antonio Rodrigo 'Minotauro' Nogueira was a guest of EB at the opening event of the EFN 2016 Series in Bangkok on August 12, and EB has supported Team Nogueira both with Muaythai training and securing spots for some of its fighters in MMA and Muaythai events. 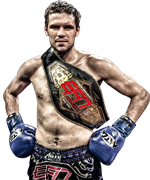 EB’s MMA partner and Abu Dhabi Warriors Managing Director Mr. Lubomir Guedjev is also very excited about the upcoming event in Sao Paulo as it represents an exciting opportunity for the newly established MMA brand to exploit this market. With discussions already underway to hold more regional sub qualifiers in Brazil next year, EB is confident that through collaboration with its local partners, it will be able to help the Abu Dhabi Warrior brand expand quickly and establish a presence in South America. Kings Cup Final on Saturday, 29th July at Kuala Lumpur Badminton Stadium Cheras. 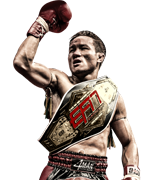 Elite Fight Night Champions League (2016) is a series of regional muaythai qualifying tournaments designed to find 4 muaythai champions from around the world to compete in the prestigious Kings Cup Final in Thailand for the right to be called the Muaythai World Champion. Fighting at the 72.5kg weight division, fighters representing 16 countries will compete in 4 regional qualifying events to find 1 muaythai world champion. Held on a monthly basis between August and November, each of the 4 EFN Champions League events will feature a 4-man tournament with the winner earning his place in the King’s Cup Final in December and a chance at glory. The fight card at each event will also include both MMA and muaythai superfights as well as additional entertainment. The grand finale of the EFN Champions League is the Kings Cup Final held in Bangkok, Thailand on December 5 to honor the birthday of the King of Thailand. Considered by many within the sport to be the world final of muaythai, the Kings Cup is among the most prestigious events in the muaythai calendar. Sanctioned by the World Muaythai Council (WMC), the winner of the Kings Cup Final will earn the right to be called the Muaythai World Champion. The King’s Cup is the biggest single event in the muaythai calendar. It has been held every year since 1999 on December 5th in honour of H.M. the King of Thailand’s birthday. Supported and sanctioned by the World Muaythai Council (WMC), the King’s Cup is internationally recognised, and the winner is officially crowned as world champion. The cream of Thailand’s talent takes on the seven best fighters from the rest of the world in an 8-man tournament that is the climax of the muaythai season. Victory here is the pinnacle of any fighter’s career. As the sun sets on H.M. the King’s birthday’s festivities, eager spectators gather in Bangkok’s historical Sanam Luang (the Royal Field) in front of the spectacular setting of Wat Phra Kaew (the temple of the Emerald Buddha), which is the most important and beautiful temple in Bangkok. The sights, sounds and electric atmosphere of the King’s Cup make for an unforgettable occasion that has to be experienced to be believed. An ocean of candles light up the night as the atmosphere builds in anticipation of the main event, which starts at 8pm. When the fighters appear, a crowd of 300,000 fervent fans erupt into a crescendo of noise as the action begins. Local pride is at stake as Thailand’s finest does battle with the leading contenders from around the globe for the title of world champion in the spiritual home of this noble sport.